SOS Forum • Mastering for Social Media? I do hope I have the correct forum for this? I just wanted any advice really on re-editing and 'mastering' for Instagram etc. I know there was a studio post i saw somewhere online, that Instagram/FB etc all prefer audio for videos limited at say -4db? I produce Dance Music, so a loud limited master, i heard, wasn't the best thing for Youtube, Instagram as the online algorithms limit the audio. Do I also need to make my audio mono as a soundtrack to any video on Instagram? ie: mastered to -8db? mono only, 192kbps MP3 only? I can then re-edit and remaster the handful of tracks for online only as taster samples. Re: Mastering for Social Media? Hmmm, a quick google doesn't throw up anything authoritative on how instagram handles audio, i.e. whether it's peak limited or loudness limited. Most online platforms are moving to the latter with ranges between -13 to -16 LUFS, and in the absence of any other info I'd be playing in this ballpark. There was also some discussion here about it and I seem to remember Ian chiming in so it would be worth a search. Nice thread. A caveat tough, social platforms tend to experiment and change algorithms all the time, so any advice on what a specific plattform does or does not risks to be outdated the moment it hits the printing press - or the ENTER button. Sometimes these changes have nothing to do with the audio - for example a different encoder can be suddenly used to attempt to reduce server storage costs. My approach is to set things so that they sound nice and comparable to my reference on my monitors, in my car, on my phone (both with and without buds) and in the full range PA in the rehearsal room. Which kinda works, but really depends on the reference you pick! I was listening to songs on Spotify the other day which happened to be in kinda 60s-70s-80s-90s order and I really thought that whatever algorithm Spotify was using at the moment, it ain't working very well, levels were all over the place and I had to use the volume knob all the time - for songs which should be relatively comparable as style, instrumentation and genre go. So my current thinking is that it's often an impossible chase, and it's best to focus on what you can control. I do by all means leave one db of headroom on the master and don't like the hypercompressed "sausage" masters, but just making sure it sounds good in an ordinary environment is the best you can do. CS70 wrote: Nice thread. A caveat tough, social platforms tend to experiment and change algorithms all the time, so any advice on what a specific plattform does or does not risks to be outdated the moment it hits the printing press - or the ENTER button. In any case, as long as you encode properly should make no difference. 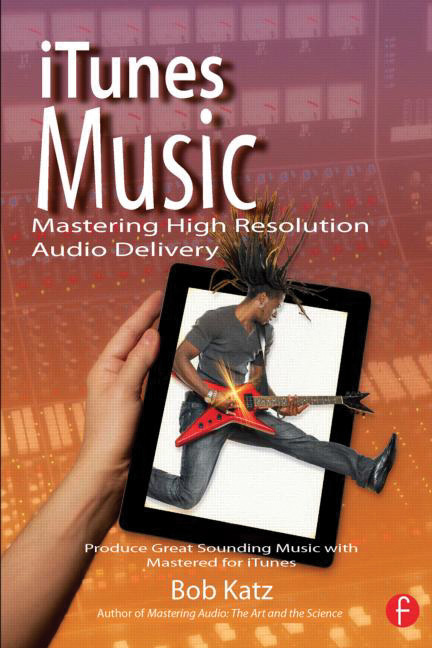 You could try iTunes Music: Mastering High Resolution Audio Delivery by Bob Katz as it's not just about iTunes. I use the Nugen Mastercheck for mixing to various streaming formats. Zukan wrote: I use the Nugen Mastercheck for mixing to various streaming formats. Out of curiousity, does that have a setting for instagram? It ought to be easy to set one up though, given the right info.